One of our favorite things during the holidays is dusting off a few tunes that we only get to play once a year. There are a ton of great holiday tunes. It’s really a shame to only play them for the last 2 months of the year. Have you started to work on your Christmas presets and concert program so you can entertain your friends and family during the upcoming holiday season? We posted a couple of tunes below to help get you motivated. The first one we actually recorded last year and it uses the OAX style called “Jingle Swing”. We opted to not use the auto accompaniment and put in our own bass line and accompaniment parts. On the lead lines, we used Tenor Sax, Trumpet and Grand Piano sounds, also from OAX. The second one is a special treat from Mr. Robert New. A very nice piece sir! 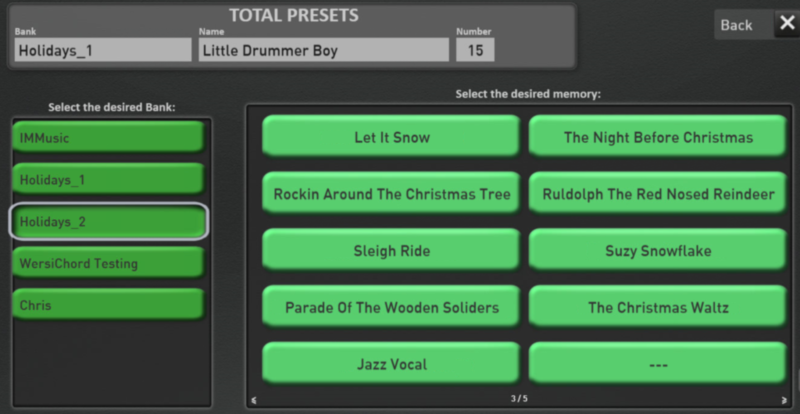 We have some additional Christmas tunes over on the IMMusic site for your enjoyment and time allowing, some additional tunes will be uploaded and available as backing tracks, should you want to play along.